You can easily manage with no coding skills or hiring technical experts? 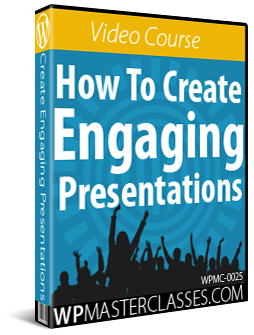 Can be easily enhanced with new functionality anytime you’re ready to expand? Let’s you easily recover all your data if something happened to your site? Puts you in complete control of your digital presence? If so, you will want to built your website with WordPress. WordPress is the world’s most downloaded self-hosted web publishing tool, the most widely distributed CMS technology in the world, and the platform of choice for millions of websites worldwide. There are many benefits to choosing WordPress. 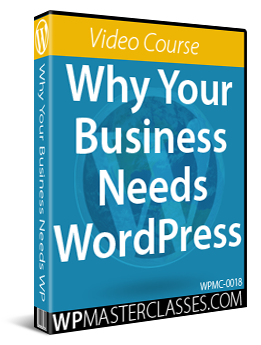 WordPress is 100% free to download, simple to install, easy to use, requires no technical skills, lets you manage and grow your business online for little to almost no cost and puts you in complete control of your online presence. In this tutorial, we’ll look at some of the WordPress features that put you in complete control of your website. 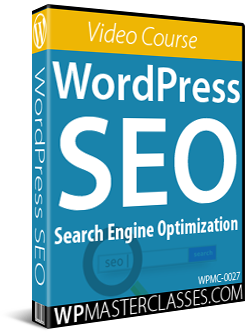 WordPress is a powerful web platform that allows you to build just about any kind of website you can imagine. WordPress also comes with many built-in features and functionality that allow you to expand your website easily, manage it inexpensively, and be in complete control of your digital processes. 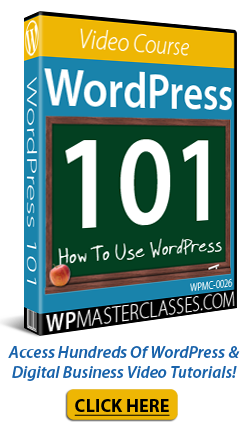 WordPress is 100% FREE to download, use and customize. This means that you can download the full and complete application, install it on your own domain name, and modify the code however you want to suit your own needs, without having to pay fees for licensing the software or updates. WordPress is extremely quick to install. In fact, if you know what to do, you can install WordPress on your own domain name in less than a minute, just by clicking a few buttons. We have created detailed tutorials that takes you step-by-step through the entire process of planning and installing a professional website for business or personal use on your own domain using one-click WordPress installation software and a web hosting server with cPanel management software installed. 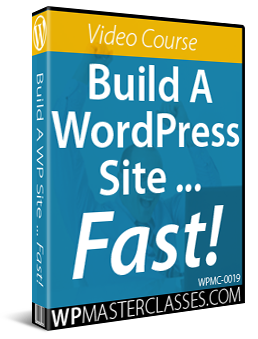 If you were to install WordPress and simply start using it ‘as is,’ you would have a fully functional website or blog that works ‘out of the box’ and that will help your business grow. In fact, we’ve purposefully decided to keep the built-in web design template that came with the default installation for this website, so you can see how features like ‘Themes’ (see further below) let you get started on building your online presence straight away and only worry about things like web design later, after you start generating traffic and have a better idea of what your visitors are looking for. WordPress works right out of the box, yet is also fully configurable and completely customizable. The WordPress CMS lets you easily add, edit, publish and manage your own content. The WordPress dashboard includes an administration toolbar that lets you see what features of your site need to be updated and add new features from a drop-down menu, and the main navigation menu that allows you to easily access all of your site’s sections, features and settings. The dashboard also includes configurable screens that allow you to view ‘at-a-glance’ information about your site, such as the number of published posts and pages, lists of recently published content, visitor comments, visitor stats, most frequently viewed posts, and more. Plugins are like apps – addon applications that are easy to install and that integrate seamlessly with your WordPress site to extend or enhance your website’s functionality. You can add just about any type of functionality imaginable to your WordPress website using plugins. The WordPress plugin directory contains tens of thousands of Free plugins. There are also many premium (i.e. paid) plugins available for WordPress users. WordPress makes thousands of free themes available to users via its Theme Directory and many professional web design companies provide premium themes designed to suit all types of needs and applications. You can also deliver web content optimized for mobile device users using many mobile-responsive WordPress themes. WordPress widgets let you easily add content and features to your sidebars, headers, footers, etc, configure menu items and rearrange the layout of your web pages without having to touch code. WordPress provides default widgets like Categories, Tag cloud, Search, etc. and many plugins will often add their own widgets when installed. WordPress lets you create an unlimited number of custom menus to display links to posts, pages, categories, and custom links pointing to external websites. The WordPress visual editor lets you add any type of content you want to your web pages: text, images, videos, audio podcasts, webinars, etc. Wizards are great for setting up plugins and themes with highly configurable settings quickly. Shortcodes also allow you to update information on multiple posts and pages from a central location without having to go and find, open, and edit all instances where you have added the script to your site. WordPress lets you easily rearrange, reorder, and reorganize items and layout elements simply by dragging and dropping elements around on your screen. Content syndication can increase exposure online for your business and drive new traffic to your website. WordPress lets you automatically embed videos, audios and other types of media (including links to other WordPress posts) into your content simply by pasting in the URL of the item. WordPress supports automatic embedding of content from many external services. Many features of WordPress can be automated using plugins. For example, you can automate many site management functions, such as software updates, new user registrations, scheduling data backups, scheduling content publishing, content syndication, optimizing posts for SEO, updating software, SPAM prevention, comment moderation, timed sales offers, brute-force attack prevention, and more. WordPress can be configured to instantly notify and automatically syndicate search optimized content to search engines, social media sites, and dozens of traffic-generating web properties as soon as new content is published. With every new version, WordPress is becoming easier to use. WordPress developers are continually improving their plugins and themes to make the platform and interface more user-friendly and intuitive. New WordPress features allow users with basic computer skills to perform complex tasks with ease. Transfer files between your computer and your server using free, easy-to-use software. Install WordPress on your own domain using a one-click installation tool inside your web hosting management area. Set up and configure settings for your new website or blog in your site’s administration area. Customize the look and design of your website using easy-to-install themes and widgets. Use the WordPress visual content editor and content management features to add, edit, delete, manage and publish your content. Add new functionality to your website and transform your site into any kind of online business you want (e.g. e-commerce, corporate, portfolio, membership, services, event booking site, etc.) using easy-to-install plugins. Manage users and maintain your website files and data backed up, protected and secure using easy-to-install plugins and inexpensive solutions. 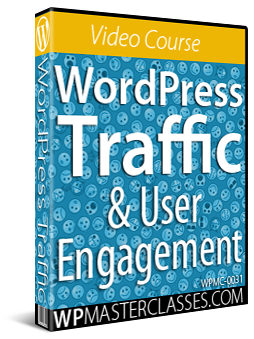 Automate your web marketing and traffic generation. WordPress takes less than five minutes to install and works “right out of the box.” A professional website can be fully installed and configured in just a day or two, not weeks or months. You can set up and run a WordPress website for the cost of a domain name (around US$10) and web hosting (around US$3 – 10 per month or more, depending on the host’s reliability, support, whether you need a shared or dedicated server, SSL certificate for e-commerce, etc). WordPress itself is free, so the real costs involved are mostly for external components and time. You can start very simply and inexpensively. We recommend purchasing a nicer (i.e. premium) web template than the freely available themes for access to support and investing in premium plugins if you need advanced features (e.g. booking appointments on your site, adding a membership site, e-commerce store, etc). You don’t need to hire professionals or have coding skills to install, manage, or grow your digital business presence. WordPress puts you in complete control of your digital presence. We hope that you have found the above information useful for helping you take complete control of your website.